With a team of seven partners, all based in London, Waterfront Solicitors is proud to have a strong team of lawyers with a passion to provide legal expertise. 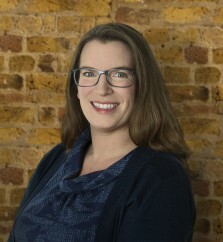 Our partners specialise in a number of areas including intellectual property, IT and technology, corporate law, employment law and disputes, whilst also advising on a wide range of other matters including privacy and data protection law, advertising law and consumer law. Each of our partners has a wealth of experience. We provide businesses of all sizes, from multinational corporate brands to individual entrepreneurs and investors, with commercial and pragamatic legal advice to help clients reach their goals. For more information on each of our seven partners simply click on the find out more buttons below their indiviudal profile pictures. For further contact information for Waterfront and the location of our solicitors in London visit the contact us page for more details. 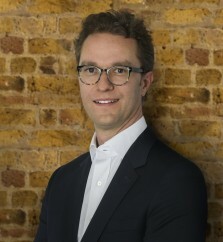 Piers specialises in advising clients on disputes involving all forms of intellectual property law including trade marks, copyright, patents, passing off and designs. Piers also has extensive experience in the areas of confidential information and data protection. In addition, he regularly advises clients on more general IT disputes, often relating to computer software. Piers also has experience in competition law cases, particularly those that interface with intellectual property law. Piers services both international and UK-based clients with a broad ranging industry focus. He has substantial experience of litigating in the High Court, including the Intellectual Property Enterprise Court. "first-class litigator" (Legal 500, 2015). as providing both “a pragmatic approach” and “valuable advice succinctly and efficiently” (Legal 500, 2012). Why did you choose to specialise in IP law? IP instantly appealed to me as being the most fascinating and varied areas of law. As a businessman myself, I love to analyse how my clients can get an edge over their competitors by using IP law to their advantage. In my day-to-day practice, this usually involves providing strategic business advice in a dispute / litigation context. Dispute and litigation work is not for the faint-hearted and this maxim applies equally to lawyers and clients alike. The most rewarding aspect of my job is guiding and supporting a client through a stressful dispute resolution process to a successful conclusion. Stress is inevitable in high-stakes litigation, but I believe that it is a vital part of my role to provide digestible commercial advice throughout, so that my clients sufficiently understand the issues at stake and make the correct decisions according to their business objectives. What do you like about being part of a team? The most important decision in my career to date was to leave” Big Law” and set up my own law firm specialising in IP. I subsequently merged my practice with Waterfront in 2010. (This was the second best career decision to date!) Being an entrepreneur is genuinely liberating and in many ways was the making of me as a lawyer. An additional benefit of this experience was being able to identify more closely with my owner-manager clients. I seem to have acquired virtually every piece of Apple hardware available, so I will have to say anything with an Apple operating system. As far as I am concerned, they simply produce the most intuitive and effective devices around. 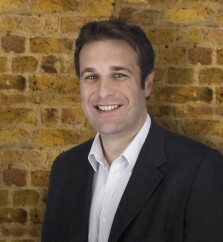 Matthew trained at Herbert Smith and became a partner in its IP and IT department in 2000. 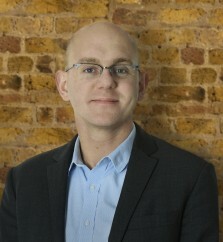 He joined Norton Rose in 2003 where he subsequently became the head of Intellectual Property and Information Technology dispute resolution. 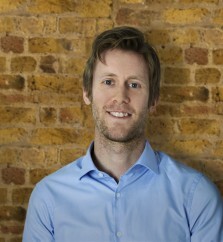 He joined Waterfront Solicitors in December 2008. He currently sits on the Law Society’s Intellectual Property Law Committee, where for example he led the Law Society’s discussions with the Law Commission and gave evidence to the House of Lords in respect of what became the IP (Unjustified Threats) Act 2017. For over 10 years Matthew was a visiting lecturer in Intellectual Property Law at the Eidgenössische Technische Hochschule Zürich. Until recently he was a general editor of, the International Trademark Association's (INTA) Annual International Review of Trademark Jurisprudence and the chair of the INTA Amicus Sub-Committee. He appeared for the association before the European Court of Justice in the high profile Nokia counterfeit goods case. Matthew is an internationally recognised expert in domain name law and practice. He has been appointed by WIPO, Nominet and the Czech Arbitration Court to decide domain name disputes, having decided over 400 cases to date. Matthew is on the London Solicitors Litigation Association list of Supervising Solicitors. Matthew has for many years been recognised as a “Leading Individual” in the field of Intellectual Property law in the Chambers & Partners Guide. In that guide he has been described as an "accomplished lawyer" and one peer is recorded as saying "For domain names and counterfeiting, he's got the best working knowledge of any solicitor that I know." A client added: "He exhibits a strong sense of business knowledge that complements his industry-leading experience." Matthew’s patent expertise was recognised in the Legal 500 as long ago as 2006. 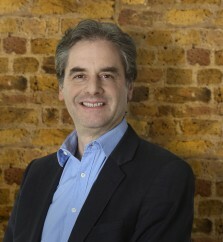 In the 2012 edition he is described as “Friendly, brilliant, direct, and able to think outside the box" and as someone who “provides the right advice on every occasion”. In 2013 the Legal 500 added that Matthew is “very bright, and exhibits a strong sense of business knowledge”. While in 2015 he is noted for being "extremely personable and engaging". 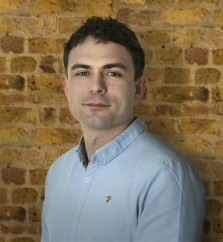 Angus joined Waterfront as a partner in 2018. Angus has a broad range of corporate and commercial experience, including in mergers and acquisitions, venture capital, cross border transactions, joint ventures, long-term/complex commercial arrangements, restructuring & insolvency and industry/business restructures. He also advises clients on general corporate and commercial matters. Angus has worked across a wide range of sectors, including IT, fintech, venture capital, life sciences, telecommunications, retail and energy & resources, including for both domestic and international clients. I worked closely with Waterfront at my previous firm on a number of matters and was instantly drawn to their sensible, pragmatic and commercial approach. The Waterfront team is fantastic to work with and, of course, our clients are equally the same. I particularly enjoy transactional work. Although this often involves late nights and lack of sleep, I get a real sense of achievement once the deal is done. As they say, there’s nothing more satisfying than a happy client! What’s the best piece of legal or business advice you’ve ever heard? Get your lawyer involved sooner rather than later. “Business” issues often contain or become “legal” issues and so having a legal steer from the outset can save a lot of time and money. That lawyers find/create problems rather than solving them. At Waterfront, we are in the business of problem-solving and do so in a sensible, pragmatic and commercial way. I include apps as “tech” and so my favourite one at the moment is the app that my son’s nursey uses – I get hourly updates and photos of what he’s up to while I’m at work! Before becoming a lawyer, I was working as a sound engineer and, in my spare time, pursuing rock stardom. Thankfully, though, the law came to my rescue.